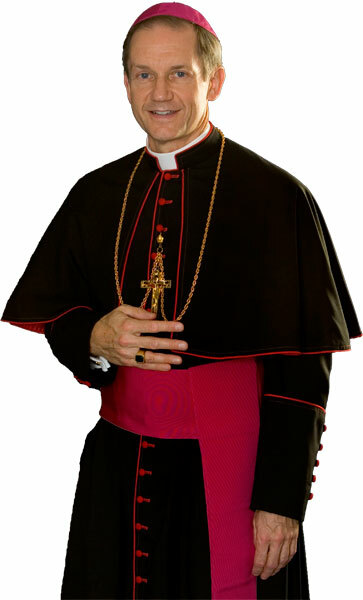 His Holiness, Pope Benedict XVI appointed Auxiliary Bishop Thomas John Paprocki of the Archdiocese of Chicago to be the ninth bishop of the Diocese of Springfield in Illinois on April 20, 2010. The appointment was announced that day in Washington, D.C., by Archbishop Pietro Sambi, apostolic nuncio to the United States. Bishop Paprocki was installed during Mass by His Eminence, Francis Cardinal George, Metropolitan Archbishop of Chicago, on June 22, 2010 at the Cathedral of the Immaculate Conception in Springfield. By clicking on the links to the right, you can access biographical information on Bishop Paprocki, scan historical data about the diocese, increase your knowledge about the bishop selection process and and much more!